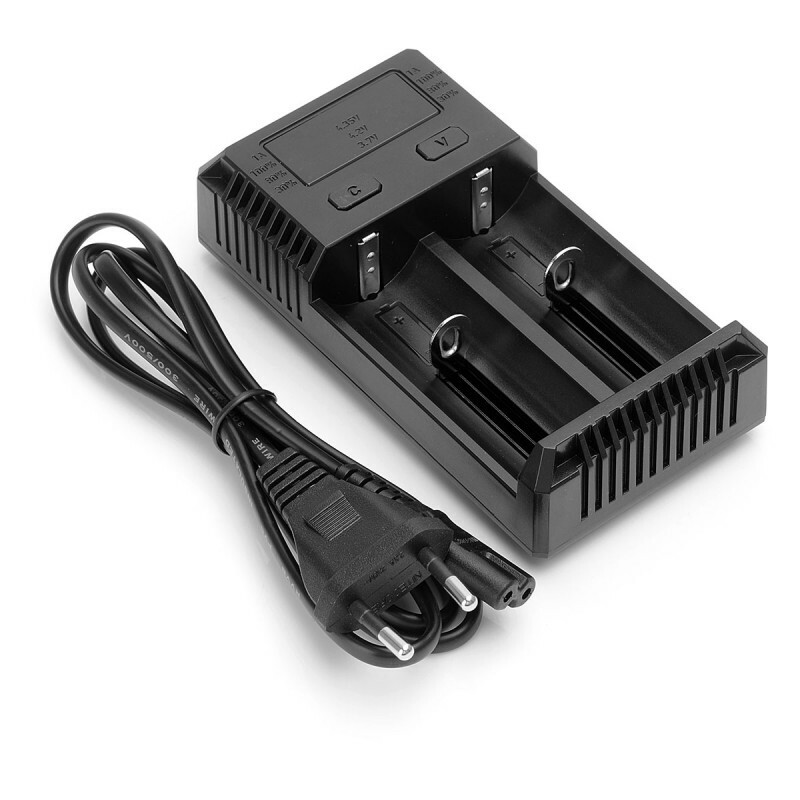 The NEW I2 can charge at up to 1000mA current in one slot. 100% more than that on the i2 Charger, having your waiting time for good. The ACD technology allows for a dynamic distribution of the NEW i2's charging power. For example, when two batteries are being charged in the NEW i2 and one of them is completely charged, all charging power will automatically go to the order slot and charge the battery ar fastest speed. The NEW i2 is compatible with 1.2V, 3.7V, 4.2V and 4.35V batteries. You can almost charge all kinds of cylinder batteries you can have without buying extra chargers, just the NEW i2. 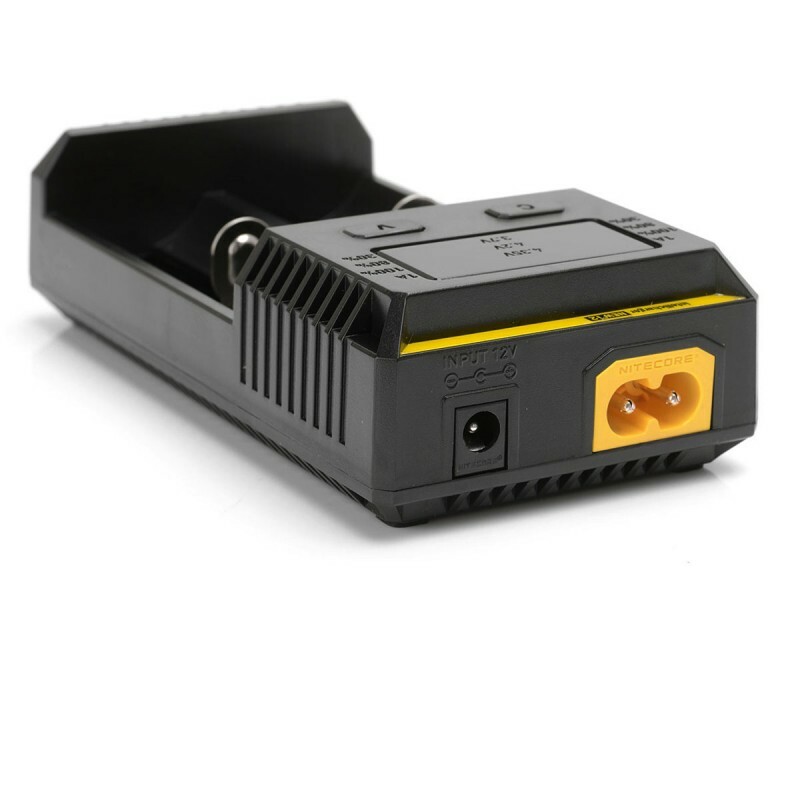 By single operation with the V button you can easily set charging voltage in each slot independently. including the 3.7V charging voltage that is good for long term li-ion battery storage. You can press and hold both the C button and the V button to enable IMR batter restoration to restore a OV depleted IMR battery. The NEW i2 can intelligently select most appropriate charging current based on automatic battery capacity detection. 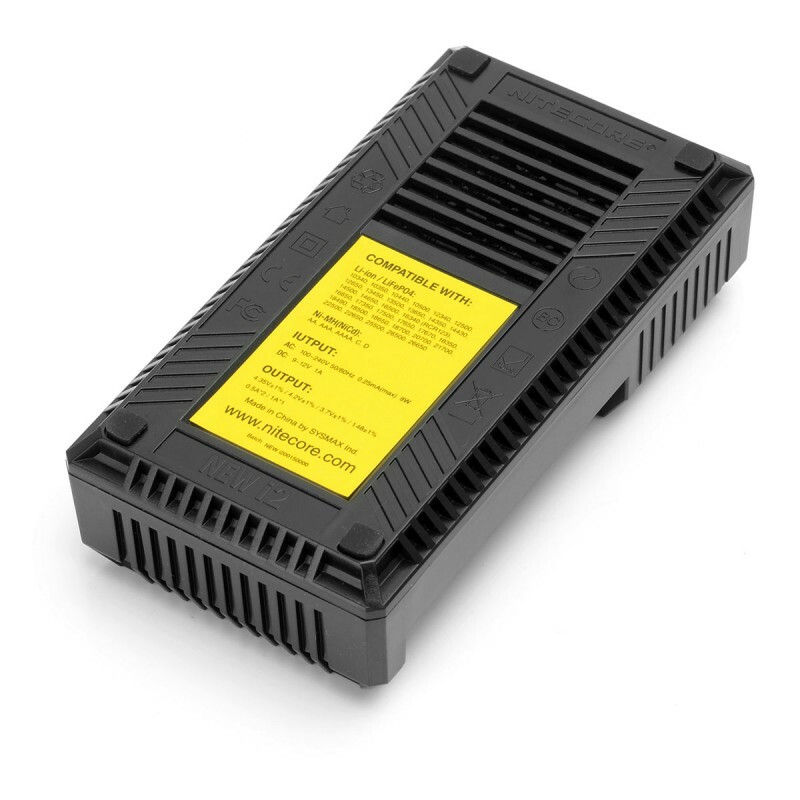 For large capacity batteries like 18650 and 2665 li-ion batteries. Press and hole the C button can quickly active 1000nA fast charging. The NEW i2 notifies the user right upon-rechargeable lithium battery installation. The NEW i2 automatically detects non-rechargeable lithium batteries. It automatically reports errors with four LEDs on when no-rechargeable lithium batteries are inserted. Built-in microprocessor automatically identifies battery types and selects appropriate charging voltage and current. Automatically detaches battery status and selects the appropriate charge mode (CC. CV and -dV / dt). 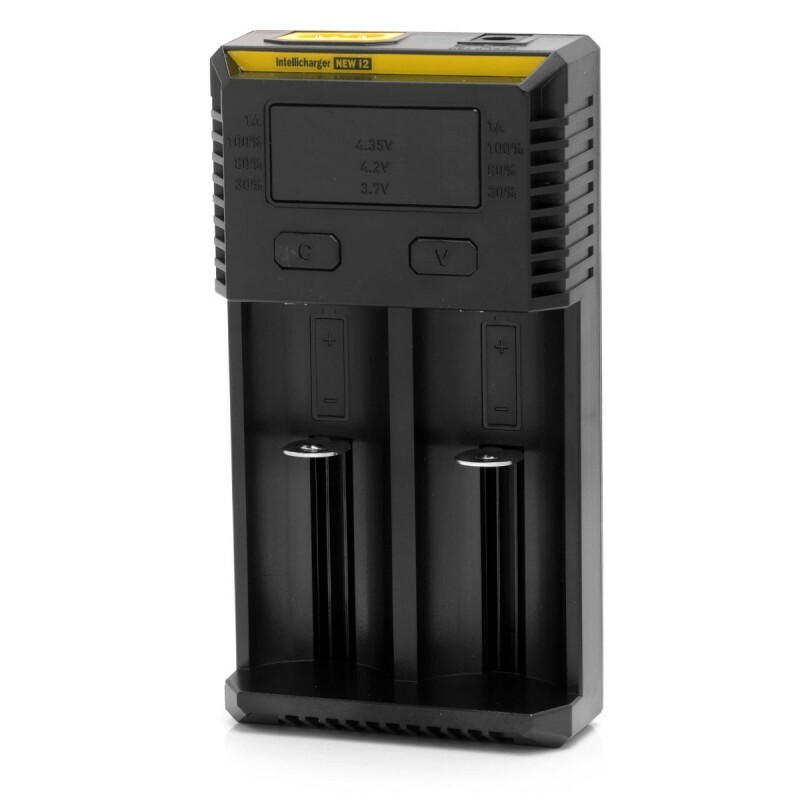 -dV / dt charging program for Ni-MH / NI-Cd batteries to detect battery status and control perfect timing for cease of charging. Able to deliver maximum power while preventing overcharging. With extremely low internal resistance. IMR batteries may be overcharged and lead to safety when charged in regular li-ion battery chargers. 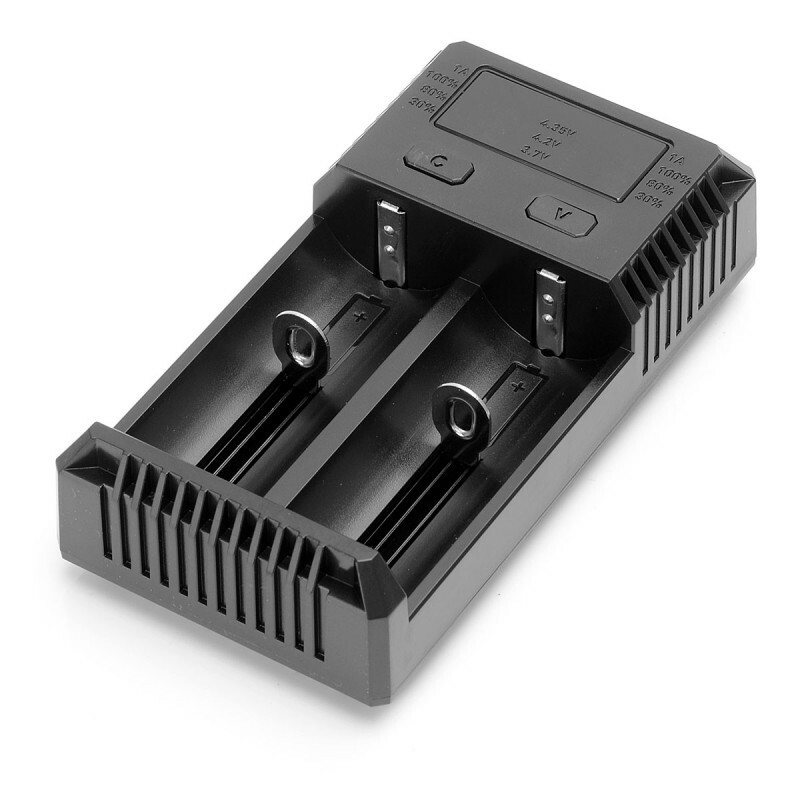 To address this problem, the NEW i2 incorporates an optimized IMR charging system that is able to monitor the entire charging process, ensuring and voltage is always within sate limits which ultimately helps extend battery life. The NEW i2 will immediately terminate charging and notify the user with four LEDs on when a battery is installed with polarity reversed. Completo e simples, carregamento rapido, e alta compatibilidade com varios modelos de bateria. Recomendo!